Every Pokemon is interesting and worth talking about. I don’t play a ton of Pokemon, but I do enjoy the universe and I love learning more about the creatures in it. So, Here’s Another Pokemon! It’s Skarmory! Skarmory is a very dangerous Pokemon to be around. Its wings are actually razor-sharp feathers made out of metal. These feathers aren’t just sort of sharp, like a good butter knife. No. These feathers are incredibly sharp and as a result, they are dangerous and deadly. According to Bublapedia and Pokedex entries, Skarmory feathers were even used by warriors in the past as swords. This means that certain tribes probably had more weapons simply because they lived near a common nesting site for Skarmory. It isn’t just ancient warriors who loved this metal bird’s feathers. According to Pokedex entries, these feathers are still highly valued by high-end chefs. I like to think they don’t modify the size and just have giant feather shaped knives in the kitchen. Skarmory seems to have a problem, beyond being made out of knives, which is that they like to kidnap small Pokemon. On at least two separate occasions Skarmory has kidnapped small Pokemon like Pikachu. What the hell is that all about, you steel jerk? After one of these incidents, the Skarmory later claimed, to another Pokemon, that it didn’t remember doing anything wrong. Maybe it bumped its head and forgot? Or maybe it just doesn’t want to deal with consequences? I’ll let you decide. I like this illustration because it feels like a medieval era drawing of Skarmory. Has doth seen thy bird made of steel which is of sharp quality and of a heavyweight? Thy sick bird, my dude. According to multiple Pokedex entries, this bird can fly up to 185 MPH. That seems WAY too fast for what is essentially a ball of blades and steel. Some folks actually ride these giant birds. I guess even the Pokemon universe has idiots. Skarmory has to be careful because if it hangouts too long in the rain or near water it can start to rust. I can’t imagine the body horror you must feel as your own skin starts to rust. Sorry, Skarmory. Stay dry! Seeing into the past would be hella useful though. Think of all the mysteries you could solve, historical inaccuracies you could right... all the hidden treasure you could unearth. Was Jesus real? Was Buddha real? Let’s ask Xatu! I would ask Xatu about canceled games and totally waste his powers. But I would know everything about the original version of Fallout 3, so seems worth it. 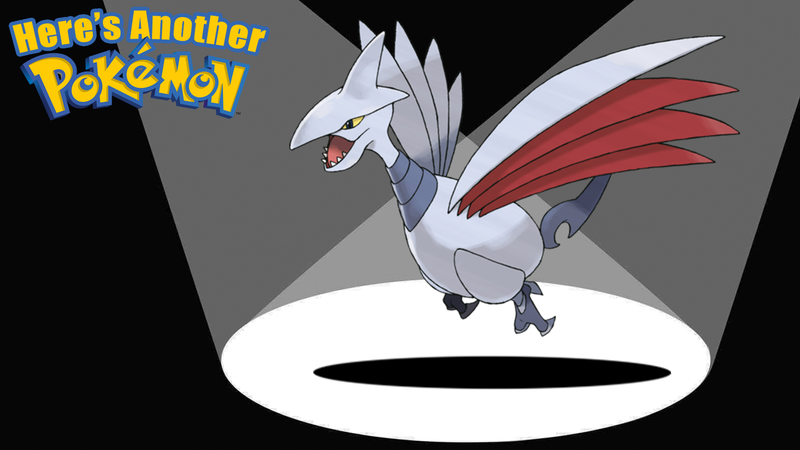 Next week, another Pokemon gets their moment in the spotlight. If you have any suggestions for future Pokemon I should cover, let me know in the comments below. Also, share any fanart or stories you have about this week’s Pokemon.